Isn’t there just something so … extra about slipping on a pair of genuine leather shoes? Whether it’s an elegant stiletto or classic loafer, adding a high-quality leather shoe to your work wardrobe definitely steps up your 9-5 style game. As a bonus, a well-made leather shoe not only looks extra stylish, but it’s also an accessory that will ultimately last longer – especially with proper care – than any discount synthetic model you’ll find anywhere. 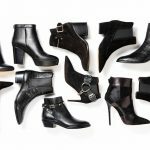 So with not one, but two, style perks in mind, let’s look at the top leather shoe styles to wear to work. The loafer has been a professional staple for both men and woman since the 1940’s. While not as overtly sensual or commanding as some shoes, it’s fair to say that nearly everyone can benefit from having at least one pair of loafers in their work wardrobe. Classy, sensible and understated, they’re a great way to add a touch of casual luxury to any look, especially when the leather is at its most polished. Most loafers – for both men and women – are flat, with a prominent tongue that’s usually rectangular. They’re often embellished with a buckle or fringe. 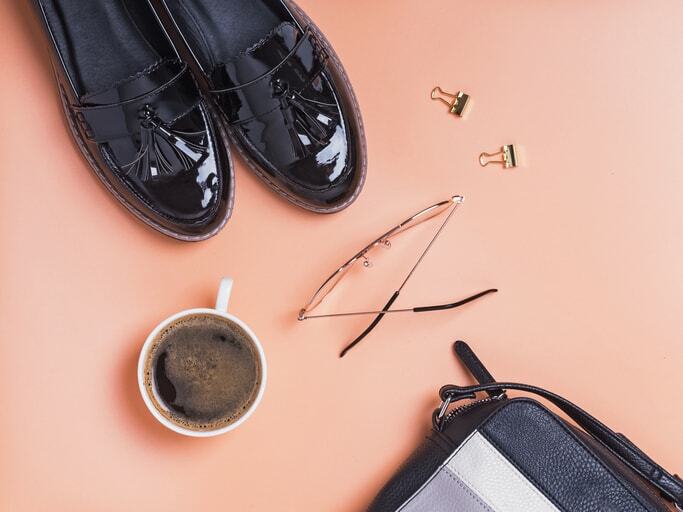 A classic black or chocolate leather loafer is the norm, but loafers are taking on many contemporary touches these days, including embellishments, different colours and, in the case of women’s, block heels that add a bit of extra height. Pair some loafers with jeans and a breezy button-up shirt and your look just took on an extra level of boardroom sophistication. Another style with a vintage feel to it is the women’s T-strap pump. It’s simple, yet stylish and takes the classic office pump to another level. As another bonus, it adds an extra bit of stability, thanks to the extra strap. A T-strap pump is just what it sounds like; a classic pump with a slim strap that runs vertically up the front of top of the foot and connects to a strap around the ankle. When viewed from the front, it has a T-shape. There are many variations to this, including the addition of horizontal straps or embellishments. T-strap heels can be found with towering stilettos and shorter block heels alike, so whatever your workday style is, there’s one for you. A T-strap pump is a great way to add some stylish charm to a skirt suit or a pair of cropped trousers. The increasing popularity of the over-the-knee boot has done a lot to showcase its versatility. Once thought of as a staple of a certain kind of nightlife – as seen in the film Pretty Woman – over-the-knee boots have grown up, and absolutely have a place in the office. In fact, a genuine leather over-the-knee boot, can be especially striking when worn strategically. To make the most of this style, pair with a fitted skirt and a pair of dark tights. It can look great with a blazer, or a tailored dress shirt. If you work in a more casual office environment, try pairing it will dark jeans and a cozy, cable-knit sweater. Undoubtedly one of the most versatile options for both men and women, the ankle boot trend shows no signs of slowing down. For men, a moto style ankle boot can be a great way to add a contemporary edge to an office outfit, or an easy way to dress up jeans and a t-shirt on the weekends. When made with real leather, they’re extra durable. 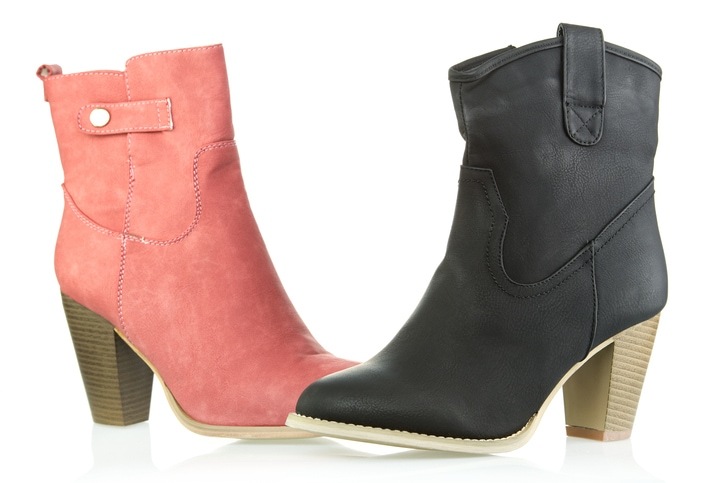 Women have even more options when it comes to the ubiquitous ankle boot. 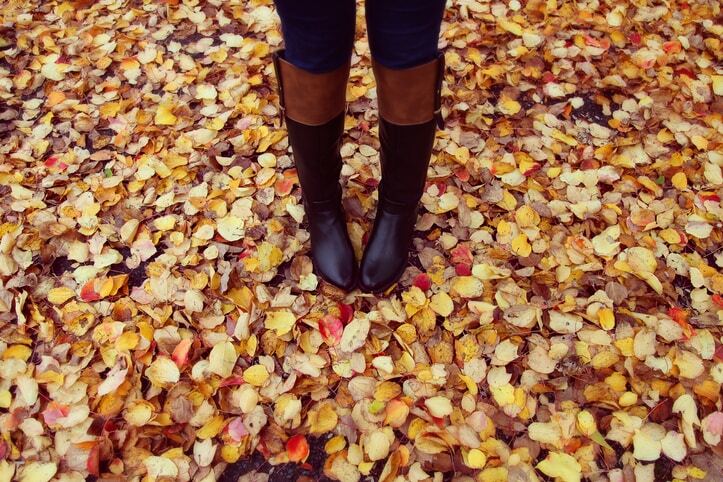 Whether flat, block-heeled or stiletto, an ankle boot in a rich dark leather is a great way to top off your outfit. Paired with dark tights and a skirt suit, they make a stylish update to the classic 9-5 look. Worn in a neutral colour, they can also be worn in the summer, with a sundress or skirt and dress shirt. They’re a great fall or winter option for both men and women, as they also have the added bonus of keeping your ankles warm! 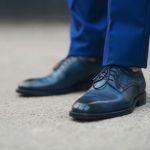 No matter what your office style, be it a casual workplace where jeans and motorcycle boots are welcome or a corporate environment where pressed suits and polished shoes are the norm, investing in high-end leather footwear is one decision you won’t regret. Do you have a favourite pair of leather shoes you wear to work? Keep them looking and feeling their best with our full-service leather care. Contact us today.